More with Music: Play and then...FREEZE! Today I'd like to share a song I've been using this week incorporating rhythm instruments. All of us use various rhythm instruments (shakers, rhythm sticks, bells, cabasas, tambourines, drums,etc. 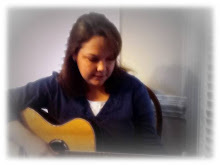 ), during music therapy sessions. The students love playing instruments, and we can address so many therapeutic goals by incorporating them into sessions,(participating in a group, being a group leader, following the leader, turn taking, impulse control, following instructions,etc). It's amazing how many social skills can be practiced and learned while having fun making music! Today's song focuses on listening skills, following instructions and impulse control. First, I offer instrument choices to students. There are many ways to do this with 1:1 sessions and group sessions. To read my post on Making Choices, click here. After everyone has instruments, I briefly talk about freeze means stop. If I want to alter the tempos within the song, I play my guitar. Other times, I use my own recording of this song so that I can free my hands to model the playing and freezing with a rhythm instrument myself. The lyrics to this song are simple and repeat over and over. This is on purpose. The repetition of this song teaches the activity (play, then freeze). If I feel the group is bored or has mastered the basic concepts of play then freeze, I quickly add in things like play loudly, play quietly, have different instruments stand up, boys stand up, girls stand up,etc..
To pick or not to pick?